I’m looking forward to another great lock-in! Fun, food and fellowship with our friends is probably the best part of the night!! There will be pizza and other food in the concessions very soon after 6 PM if not by that time, so bring your appetite with you. Since we no longer do team pre-registration, make sure you have your team list ready ASAP so the play time can begin quickly with everyone that wants to have an opportunity to play. There will also be a devotional time where we will gather around to sing a few choruses (this I thoroughly enjoy, I hope you do too!) as well as a devotional focused on God’s Word!! Of course, we will be promoting PYC 2018! 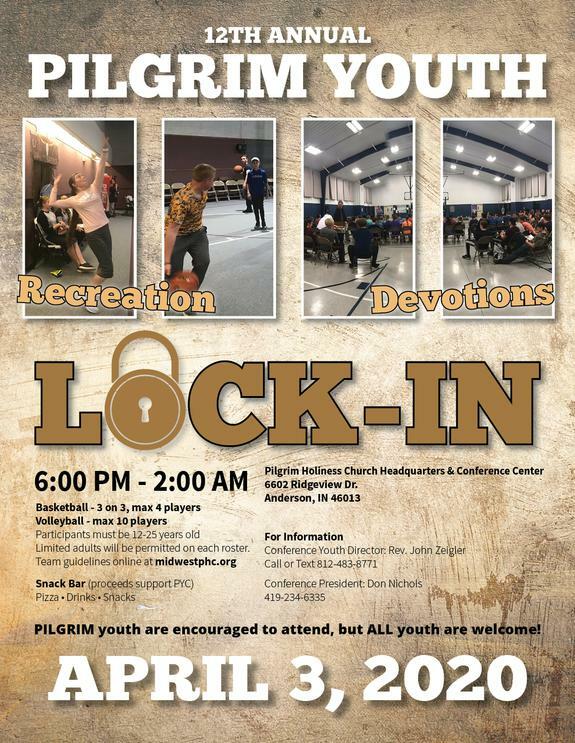 Look forward to seeing you at the Tenth Annual Pilgrim Lock-In!! !